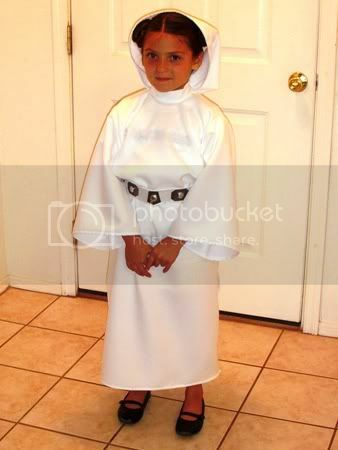 This is my second post about the Halloween costumes I made this year - you can see my first post about the Witch, Princess Leia, and Jedi costumes here. 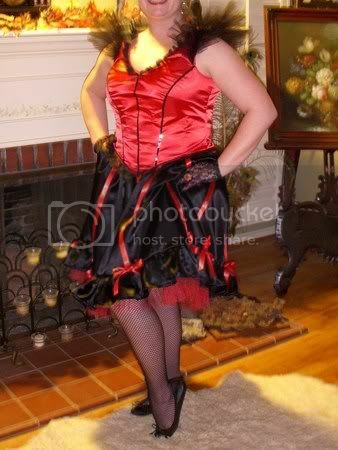 What I Did: This was by far the most challenging costume to make. It was constructed from satinette which I have no experience sewing. That made the bodice very challenging because it was difficult to get the satinette to lay flat and match up with the lining pieces. I actually ended up throwing away my original pieces cut from the satinette and buying more fabric, which I then attached to some fusible interfacing before cutting out the pattern pieces. That made everything much easier! Pattern: Simplicity 2789 (Update 9/8/09: This pattern is now out of print. 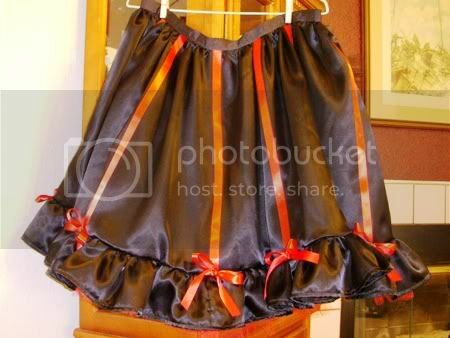 The closest I could find is Simplicity 4015, View B, Little Red Riding Hood. 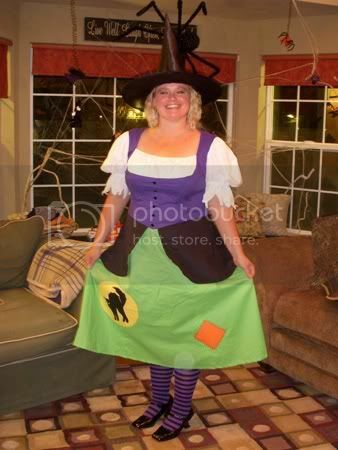 Take off the hood and change the colors and it would resemble this costume, though it doesn't have the bloomers). 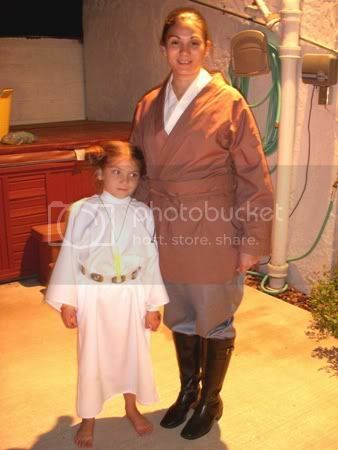 What I Did: This costume was quick and easy (just what I wanted!). I followed the pattern and didn't have any major problems with it. 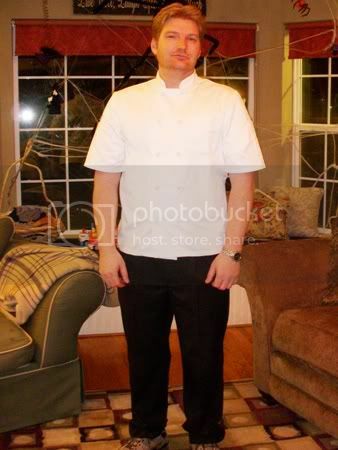 This is my husband as Chef Gordon Ramsay (or just a chef to those who don't know who Chef Ramsay is!). I had planned to sew the chef's jacket myself using this pattern but I ran out of time. Happily, I was able to find a reasonably priced jacket at Chefwear.com. Also nice was that 2 day shipping was only a couple more dollars than the standard shipping so I was able to have it well before Halloween.